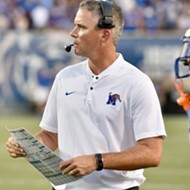 The best college football team in the state of Tennessee kicks off its season this Saturday, when the Memphis Tigers host the Mercer Bears. The Tigers will beat their FCS opponent, giving the program wins in five straight season-openers, a streak last seen from 1959 to 1963 (before the Liberty Bowl was built). But what about some less-predictable predictions? Here are three to get the blue and gray in your blood stirring. 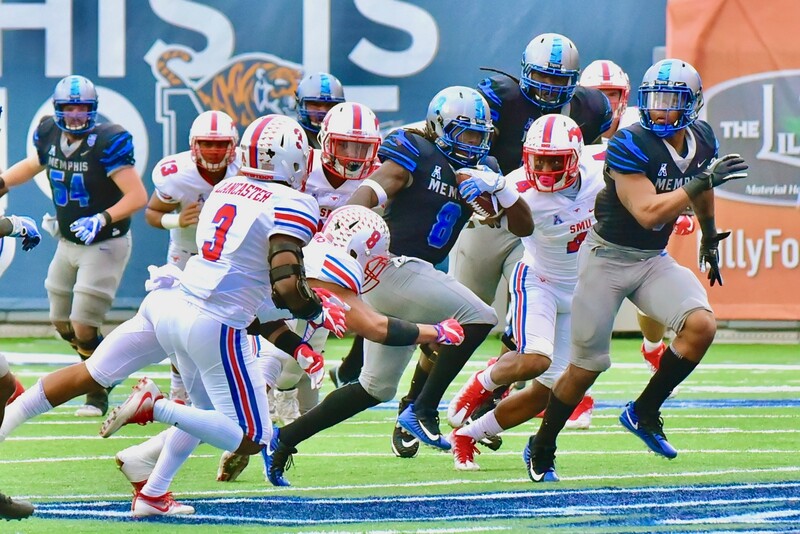 • Tony Pollard and Darrell Henderson will race each other to 2,000 yards. Pollard told me earlier this month that he hopes to hit the 2,000-yard mark in all-purpose yards (rushing, receiving, and returning) this fall. He had 1,647 last year, Henderson right behind at 1,630. (For perspective, All-America receiver Anthony Miller had "only" 1,498 all-purpose yards in 2017.) 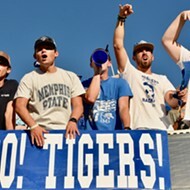 If Henderson and Pollard stay healthy, Memphis fans should enjoy some head-spinning Saturdays (and Friday nights), a feeling that won't be as welcome to Tiger opponents. • The Tigers will score fewer points than they did in 2017 . . . but they'll also allow fewer. 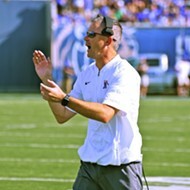 The Memphis program has reached new heights offensively over the last four seasons. Since the 2014 campaign, the Tigers have averaged 36.2, 40.2, 38.8, and 45.5 points per game. Last season's team finished second in the entire country (to UCF) in scoring. But 45 points a game? That's just not sustainable, especially with a rookie quarterback in the mix. The Tiger defense did its share to keep opponents in games last season, allowing an average of 32.5 points per game. (For perspective, the 2011 Tigers allowed 35.0 points per game and went 2-10.) The defense will be better this season. Cornerback T.J. Carter and linebacker Curtis Akins are already stars. An improved pass rush would go a long way. So, welcome back, Jackson Dillon. (The Tigers averaged two sacks per game a year ago.) And the defense may not be exposed as often this season, the Tigers presumably shifting toward a run-first attack behind the trio mentioned above (which would burn more clock than a pass-first attack). The Tigers won't win games this season in which they allow 45 points (as they did twice in 2017). But they're likely to reduce the number of such games, which will help the win total. • The Tigers will go 8-4, but earn their first bowl win since 2014. A rookie quarterback won't often win games by himself, but he sure can lose one (or two) with poor decision-making. How good will grad-transfer Brady White be as a starting college quarterback? Will he stay healthy? Should White be sidelined, can a freshman backup lead a team, even as talented as these Tigers? Those are too many questions about the most important position on a football field for me to project more than eight wins. Soft schedule, you say? Nothing soft about a trip to Navy, or a road game in an SEC stadium (Missouri) or hosting a pair of teams — UCF and Houston — that consider themselves Top 20 material. The good news/bad news to an eight-win season would be playing in a second-tier bowl game in mid-December, a game I'm convinced the Tigers would win, perhaps handily. For much more on the upcoming Tiger football season, check out this week's print edition, hitting streets Wednesday.